I’ve been making a push lately to do more with linux. I shrunk my main Windows partition and installed Ubuntu 13.10 on there with the stock Unity interface. As usual, after a few days, small things would get to me about the interface and just linux in general. I just didn’t like the way Unity looked. The interface certainly looked nice, but the interaction just wasn’t quite there yet for me. Then 14.04 came out and I started reading about Xubuntu. I’d never really tried a different flavor of Ubuntu, always going for the stock version because I figured if I had any issues, most support would probably be for the vanilla. For those that don’t know, the different flavors of Ubuntu are differentiated by the desktop environment they use. Kubuntu uses KDE, Lubuntu uses LXDE, Gnome Ubuntu uses Gnome (durrrrr), and Xubuntu uses XFCE. While the underlying system is the same old Debian-based Ubuntu in all, each feels very different. I went with Xubuntu over Lubuntu because I didn’t want just minimalism. I want some features too! Rather than do a clean install of Xubuntu, I had just upgraded my Ubuntu system from 13.10 to 14.04 LTS, so I followed the instructions and proceeded to install Xubuntu and get rid of some gnome dependencies I didn’t need anymore. After the installation, I rebooted, switched the desktop session to Xubuntu’s Xfce, and logged in. Beautiful. Just beautiful. Xubuntu has a central startmenu type menu system attached to a panel at the top of the screen named Whiskermenu. It has a dock system similar to that of Gnome including a port of the panel indicators (mail, bluetooth, network, social, etc) that we’re all used to. The Nautilus file manager has been replaced with Thunar, a lightweight file explorer. It’s noticeably faster than Nautilus but that’s probably because most frills have been stripped out. I quickly realized that the Ubuntu software center looks nice, but is basically crap. Synaptic package manager blows it out of the water. For a dock, I’m using Cairo Dock (think osx dock) which is a bit weird to get used to at first, but works fantastically once it’s properly configured. I’m still using Deluge as a torrent client and apparently a lot of docks support Deluge via dock widgets that show cool things like total up/down speed, number of active torrents, etc. I’m using Google Chrome as my web browser, but for some reason it runs sluggishly in Xubuntu. The pages load fine, but any time you click on something or right-click, it takes ages for the application to respond. For video, I’m using SMPlayer, and for audio, I’m using Clementine. Both seem to work fairly well so far, but I’ll admit I haven’t given them a thorough run through. Now to gaming. Still the number one reason I primarily used Windows at home. I installed minecraft which works amazingly well on linux. Then I installed Steam. Steam works surprisingly well on linux. I did have some odd little issues initially such as TF2 starting on the wrong monitor and the mouse pointer screen location differing from where it actually clicked, but after getting those squared away, everything just worked. 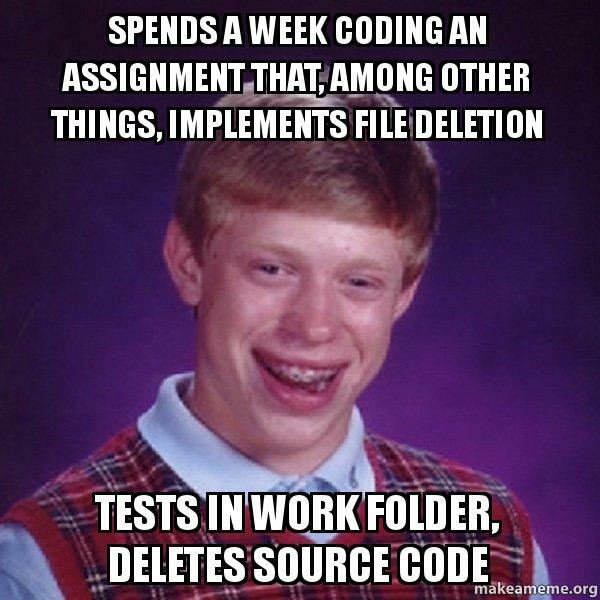 I’m still working on migrating over my software development process (editing everything with gEdit just doesn’t cut it) which has me trying out a lot of new programs. I will try and write another blog post detailing what I find, but for now, I’m going to just enjoy getting used to linux and Xubuntu!